If you’ve ever woken up with a pool of liquid on your pillow, you may have wondered if you have a drooling problem. After all, we expect to see drooling in babies and toddlers who are teething and still developing muscle control. But for those of us adults who experience excessive drooling at night while sleeping, there are a number of other explanations. Salivating, driveling, slobbering, dribbling, and sialorrhea are all ways to describe the saliva that drips uncontrollably from the mouth. No matter what you call it, it’s still drooling. Although it’s not abnormal to expel a drop or two onto the pillow from time to time, if you’re regularly greeted by a wet pillow in the morning, then it’s time to do some investigating into the cause. The body produces too much saliva. There is not enough muscle control to contain the saliva that the body produces. The body is not adept at swallowing the saliva before it escapes from the mouth. If you’re looking for tips on how to stop drooling while sleeping, stay tuned. We’ll get to that later in this article. The explanation is simple. It’s the law of gravity. As your body produces saliva, the liquid is more likely to escape from the front or the side of your mouth when it’s facing downward. Sleeping on your back in bed is a quick way to resolve the issue. When the nasal passageways are congested (for example, when you try to sleep with a cold), people are more likely to breathe through their mouths. Naturally, an open mouth leads to more drool being able to find its way out of your mouth and onto your pillow. GERD or gastrointestinal reflex disorder is also commonly known as chronic acid reflux. The heartburn that patients experience is due to stomach acid being backed up in the esophagus. As a result, swallowing can be difficult because the patients report that it feels like they have a lump in their throat. To make matters worse, the body responds to the irritation in the esophagus by producing even more saliva to try to flush out the irritant. Some medications cause excessive saliva production. The most common instances are antipsychotic medications, particularly Clozapine. The theory behind this phenomenon is that the drug affects the function of the nervous system, both causing extra saliva production and not sending proper messages to the muscles in the mouth to hold the liquid in or swallow. Dysphagia is a word that describes a difficulty in swallowing. Diseases like Parkinson’s, MS and muscular dystrophy can be the cause. Or the issue could be something as benign as a sore throat that makes swallowing uncomfortable. Sleep apnea is a disorder that causes someone to stop breathing several times throughout the night. One of the symptoms of sleep apnea is excessive drooling. Other symptoms include snoring, waking up suddenly during the night gasping for breath, excessive daytime drowsiness, and having a sore throat or dry mouth in the morning. Treating sleep apnea often results in cessation of drool, but in cases where it doesn’t, there could be another condition at play. An infection, especially in the sinuses could also cause pools of drool. Infections tend to produce extra saliva in the mouth as the body tries to flush out whatever foreign invader is attacking the immune system. In turn, if there are blocked nasal cavities, the body resorts to mouth-breathing, which allows a free flow of saliva. A stroke or cerebral palsy could also be the source of the excess drool. These neurological conditions can prevent the muscles around the mouth and jaw from functioning to contain the saliva. In turn, the neurological impairment may also prevent the brain from signaling the body when it’s time to swallow. 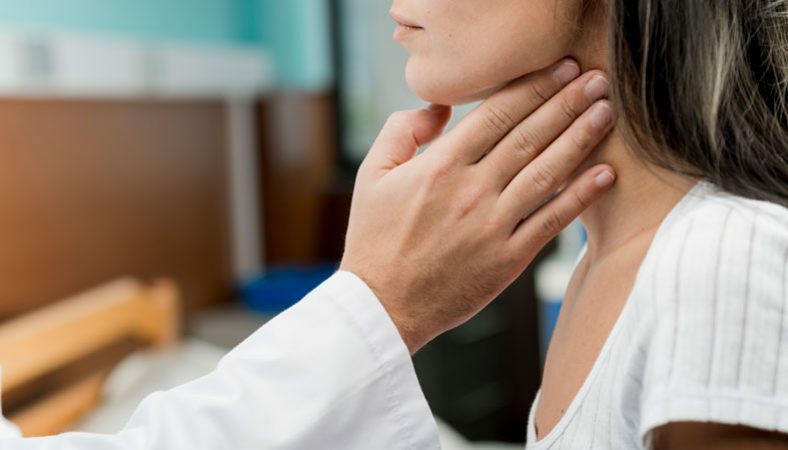 Epiglottitis is a type of infection that manifests in the back of the throat. There’s a plate of cartilage back there that swells when it’s infected. As a result, swallowing becomes difficult. Bell’s Palsy is a viral infection that causes muscle weakness in facial muscles. Patients with this condition look like one side of their face has drooped. It’s usually temporary and resolves itself within months. However, during this time, the muscles in the face may too weak or paralyzed to control the excretion of saliva. Guillain-Barre Syndrome is a serious autoimmune condition. The nerve cells become damaged or frayed because the body begins attacking them as a misguided immune response. When the nerves no longer function properly, muscle weakness and even paralysis can occur. Drooling is one of the many manifestations of this disease. Sleeping on your back is the best way to prevent excessive drool. If you’re a die-hard side sleeper, the thought of sleeping on your back might sound feasible. 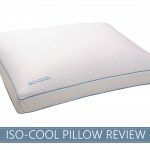 If you don’t want to change your sleeping habits, you may consider something like a wedge pillow that elevates your mouth and allows gravity to do its job. Doctors recommend looking for ways to make your saliva thinner, so it doesn’t pool in a gooey, stinky mess on your pillow. Biting into a slice of lemon could do the trick because the strong concentration of citrus could thin out your saliva. Also, drink plenty of water. If your body is well-hydrated it won’t need to produce as much saliva to moisturize your mouth. A mandibular device is another word for a mouthpiece or oral device. They can be used to prevent a variety of conditions like drooling, snoring or teeth grinding. Some can be purchased at a drug store, while others require a prescription from a doctor dentist. 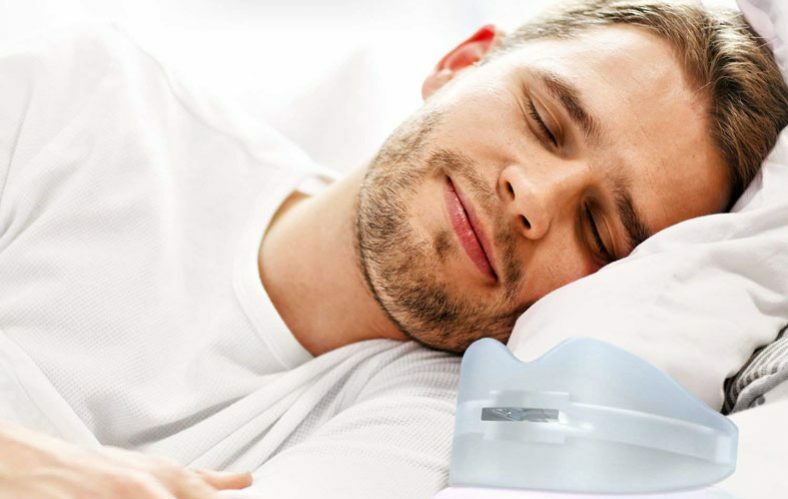 Continuous positive airway pressure (CPAP) machines are used to treat sleep apnea. If the apnea is the cause of the drooling, then using this device should help. If a patient is still producing excess drool, then it’s time to explore other causes. Botox is the Botulinum toxin that is most commonly known as a facial injection to smooth out wrinkles by paralyzing the muscles under the skin that contract to cause wrinkles. The same principle can be applied to the salivary glands. By injecting Botox into them, they won’t be able to function to produce saliva. The last resort is to explore surgery. It’s only recommended when there’s an incurable neurological condition responsible for the drool. The most common method is to remove the salivary glands. If your drool is caused by allergies or sinus issues, then treating those conditions will help reduce or eliminate the drooling. These problems should clear up on their own, or you may elect to take medication to alleviate symptoms while your body heals. Medications that interfere with the salivary glands can help adults who want to know how to stop drooling at night or while awake. The most commonly prescribed medication for this is Scopolamine, which is also known as Hyoscine. This drug is primarily used to reduce motion sickness and vomiting, though it’s also sometimes given prior to surgery to reduce saliva production. If the tongue and jaw muscles aren’t experiencing a full range of motion, your doctor may recommend speech therapy. This course of treatment is also recommended for patients whose lips don’t connect when they close their mouths. This solution isn’t an overnight cure, but it can help a patient improve over time. These appliances, also called a mandibular device, often look like mouth guards. They can help assist in swallowing while also helping to keep the jaw aligned and the mouth closed. Is it normal in adults and elderly? No. While it may be common in elderly citizens, it’s not considered normal. There’s typically an explanation for the drooling, which is often due to either a neurological disorder or a side effect of a medication. If the senior is taking drugs for dementia, these medications are known to produce excess drool. Often in the case of elderly patients, the drooling occurs during the day as well, whether it’s due to a neurological condition or a side effect of their prescriptions. Because this can be extremely embarrassing as well as a potential health hazard, drooling as an adult should be addressed immediately. Is it common in babies and toddlers? Yes, babies and toddlers are expected to drool rather profusely. They’re still gaining control of their muscles, so it’s not uncommon to see them with their mouths open and buckets of saliva dripping out. Drooling also becomes more pronounced during teething, which typically begins between the ages of three and twelve months and continues as late as two or three years old. Can it be caused by a sore throat? Yes, drooling with a sore throat happens when the afflicted patient has trouble swallowing. Because sore throats are painful, swallowing becomes an exercise in torture instead of an automatic reflex. The excessive drooling should be managed to avoid further complications like dehydration and a new infection. A numbing spray like Chloraseptic is extremely effective at numbing the throat to allow for comfortable swallowing. Occasionally waking up in a puddle of drool shouldn’t be cause for alarm. A temporary allergy or cold could be the cause. However, if you find that you’re waking up daily with a soaked pillow, it’s wise to address what could be making your body produce and expel copious amounts of saliva. 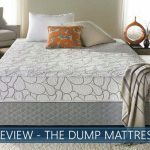 The Different Dump Beds Reviewed - Are They Worth It? I will try sleeping on my back. Good info. Hope it works.